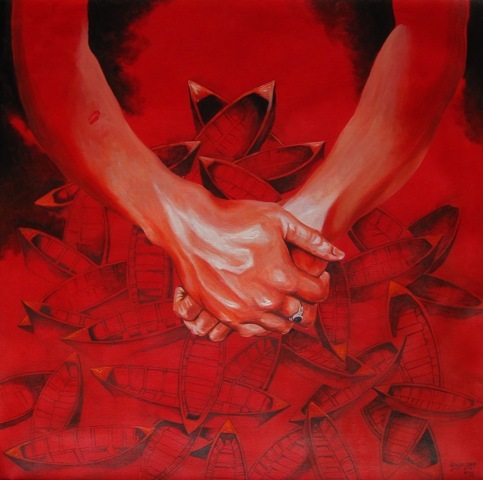 Ishan incorporate with the symbolical metaphors like water boat, bitter guard, postures of palm, figures in his artworks. He tries to show the state of emotions and feelings throughout his art works. 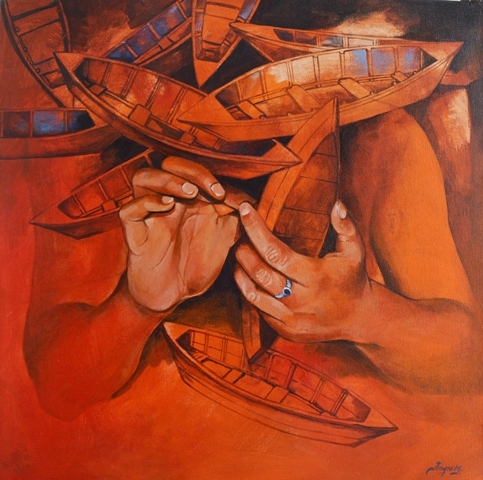 He uses water boat as a symbol of life and part of struggle where as he uses the texture of bitter guard in his paintings to depict the bitter reality of life.